There’s nothing better than organizing your pack for a week-long excursion to somewhere beautiful! The sound of stuffing your sleeping bag into its stuff sack or dividing oatmeal portions is pure bliss for camping aficionados. 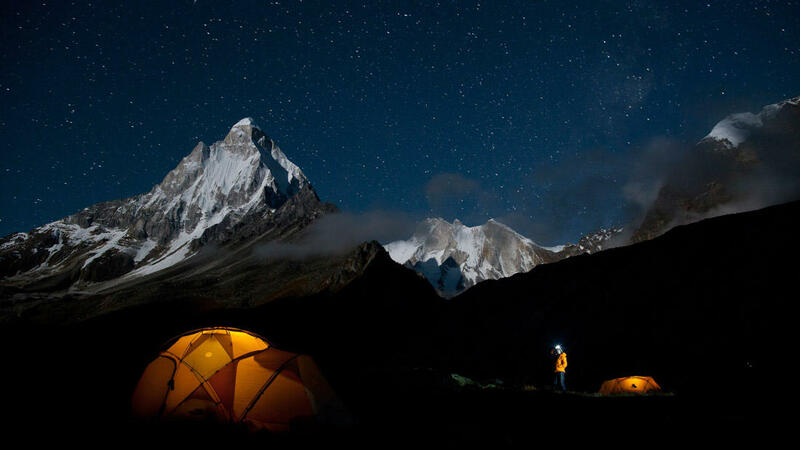 Camping in the backcountry and camping at altitude are two entirely different games, however, each involving slightly different gear lists, skill sets, and knowledge. Whether it’s making food or starting a fire, these few tips for cooking at altitude are sure to help. There’s nothing worse than getting up to camp at 10,000 feet only to find the lighter you brought along only works below 8,000 feet. Doh! As a general rule, torch lighters fare better than their non-torch counterparts (torch is determined by force behind the fuel and overall temperature output). If you’re looking to get away from torch lighters all together, UST makes a fuel-free USB rechargeable lighter. The electronic arc means you can light it in all-weather conditions, and when paired with an easy fire starter you won’t have to worry about keeping yourself warm or cooking dinner. Most camp stoves are perfectly suitable for use around the campground, backyard, and many backpacking scenarios. However, the higher up in elevation you go, the more likely you are to encounter issues with your camp stove. Canister fuel stoves lose their punch at altitude, when the air is thinner, or in winter weather, when the temperature is cooler. While this won’t entirely impede your ability to produce a flame, the flame will be weaker, and take longer to boil water for the Mountain House meal you’re desperate to eat. Liquid fuel stoves, on the other hand, are ideal for high altitude travel. While the fuel might be heavier overall, it’s more cost-effective, and won’t have the same issues a canister fuel stove might. Even if you have the best high-altitude stove, choosing not to invest in a windscreen could prove disastrous in your alpine quests. If worse comes to worse, it’s possible to invent your own windscreen through stacking rocks or downed wood, but ideally a windscreen is your best bet. Big wall athletes like Jimmy Chin and Conrad Anker are accustomed to making dinner (which mainly consists of couscous if you’ve seen their movie Meru) in the comfort of their portaledge at 2,000 ft up a granite face. If conditions are poor and wind is raging outside and you have no other options, cook your camp meal from the comfort of your sleeping pad. There you face no gusting wind to put out your flame, and you can surround yourself with warm sleeping bags and friends. Caution: Please make sure you follow all advisories for the camp stove you’re using! The tip that goes without saying? Make sure you bring the tastiest camp food. Mountain House meals are key when hiking high into the mountains, and our Pro-Paks are designed for high altitude. So when you muster your tired body into camp, it’s as easy as heating water for that much-deserved, hot meal. This entry was posted in Recreation and tagged high altitude, propaks by Kelli Martinelli. Bookmark the permalink.